Trending at $48.44eBay determines this price through a machine learned model of the product's sale prices within the last 90 days. 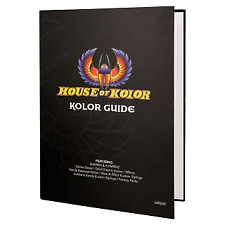 HOUSE OF KOLOR COLOR CHIP BOOK SHIMRIN 2 KOLOR GUIDE (HOK-CC160). very nice book. 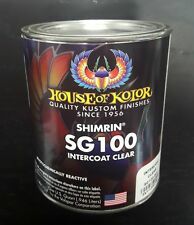 Shimrin SG100 is an intercoat clear designed to be used as a safety layer between base colors and graphics, or as a carrier for kandies, flakes, or pearls. Need help?. Give our tech line a call. 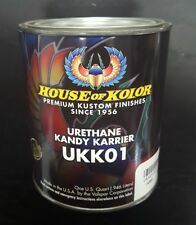 This is 1 quart of UKK01 urethane kandy karrier. 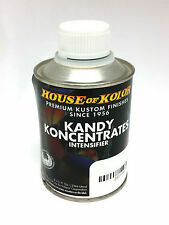 Combine this kandy konentrates and ku152 hardener to create catalyzed kandy finishes. House of Kolor flakes are the best money can buy. Available in an array of colors, and three different sizes: a standard coarse flake, a fine mini flake and an even finer ultra-mini flake. Large Selection Of New Automotive Paints & Tools. This is 1 quart of Shimrin 2 bright white basecoat. It mixes 2 to 1 with RU series reducers. Need help?. Give our tech line a call. SHIMRIN C2C APPLE RED KANDY BASECOAT. Quart of candy apple red. ®is the next generation of ground-breaking universal basecoats from House of Kolor. S2-00 Trans Nebulae is the beginning of all Shimrin2® effects, making It the heart of the Shimrin2. Picture Sprayed Over S2-25 Black Basecoat. ®is the next generation of ground-breaking universal basecoats from House of Kolor. S2-00 Trans Nebulae is the beginning of all Shimrin2® effects, making It the heart of the Shimrin2. Picture Sprayed Over S2-25 Black Basecoat Color. UC-35 is a 3.5 VOC, National Rule and SCAQMD Rule 1151 compliant version of UC-1. 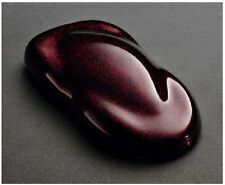 UC35 gives a high-gloss, has excellent weathering and UV resistance. It mixes 2 to 1 to 1 with ku150 catalyst and ru series reducers. The kit includes 1 gallon of UC35, 2 quarts of ku150, and 2 quarts of ru reducer for a full 2 gallons of sprayable material. House of Kolor UC35 Gallon Kit. House Of Kolor BC11 Shimirin Cinder Red Basecoat Color -1 Qt. Picture has HOK clear coat sprayed over base color. Large Selection Of New Automotive Paints & Tools. Clear for a final finish, or use as a base for Kandys. We have a complete staff of experienced automotive paint counter sales staff to help you with your needs. House Of Kolor KBC05 Shimirin Candy Colbalt Blue Basecoat Color -1 Qt. House Of Kolor Shimirin KBC05 Candy Cobalt Blue Basecoat- 1 Qt. Kandy Base Coats are a mixture of Kandy and select Pearls into a SHIMRIN® Universal Base Coat that mimics a Kandy finish. We have a complete staff of experienced automotive paint counter sales staff to help you with your needs. House Of Kolor KBC03 Shimirin Candy Wild Cherry Basecoat Color -1 Qt. House Of Kolor Shimirin KBC03 Candy Wild Cherry Basecoat- 1 Qt. Kandy Base Coats are a mixture of Kandy and select Pearls into a SHIMRIN® Universal Base Coat that mimics a Kandy finish. We have a complete staff of experienced automotive paint counter sales staff to help you with your needs. This is 1 quart of Shimrin 2 jet black basecoat. It mixes 2 to 1 with RU series reducers. Need help?. Give our tech line a call. House Of Kolor KBC07 Shimirin Candy Root Beer Basecoat Color -1 Qt. House Of Kolor Shimirin KBC07 Candy Root Beer Basecoat- 1 Qt. Kandy Base Coats are a mixture of Kandy and select Pearls into a SHIMRIN® Universal Base Coat that mimics a Kandy finish. We have a complete staff of experienced automotive paint counter sales staff to help you with your needs. House Of Kolor C2C-KBC11 Shimirin Candy Apple Red Basecoat Color -1 Qt. House Of Kolor Shimirin C2C-KBC11 Candy Apple Red Basecoat- 1 Qt. ®is the next generation of ground-breaking universal basecoats from House of Kolor. S2-00 Trans Nebulae is the beginning of all Shimrin2® effects, making It the heart of the Shimrin2. 5 out of 5 stars - House Of Kolor C2C-KBC11 Shimirin Candy Apple Red Basecoat Color -1 Qt. 1 product rating1 product ratings - House Of Kolor C2C-KBC11 Shimirin Candy Apple Red Basecoat Color -1 Qt. Large Selection Of New Automotive Paints & Tools. This product contains a chemical Knows To The State Of California To Cause Cancer And Birth Defects Or Other Reproductive Harm. ® Base Coats, Kandys, and Klears. 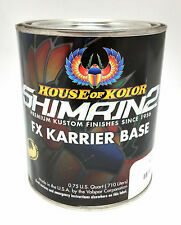 House Of Kolor C2C-KBC01 Shimirin 2 Candy Brandywine Basecoat Color -1 Qt. 5 out of 5 stars - House Of Kolor C2C-KBC01 Shimirin 2 Candy Brandywine Basecoat Color -1 Qt. 4 product ratings4 product ratings - House Of Kolor C2C-KBC01 Shimirin 2 Candy Brandywine Basecoat Color -1 Qt. 1- USC01 Clear Coat Quart. Mix Ratio : 2 Parts USC01 Clear Coat. 1 Part KU152 Hardener. 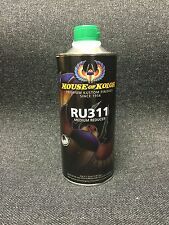 1-RU312 Quart Slow Dry Reducer. Large Selection Of New Automotive Paints & Tools. This product contains a chemical Knows To The State Of California To Cause Cancer And Birth Defects Or Other Reproductive Harm. This product must be mixed with other products before use. KU152 is a multi-purpose catalyst for urethane finishes. Large Selection Of New Automotive Paints & Tools. This product contains a chemical Knows To The State Of California To Cause Cancer And Birth Defects Or Other Reproductive Harm. Coast to Coast Compliant Kandy Basecoat. Youl will receive 1 HALF PINT of the HOK KU150HP. This product must be mixed with other products before use. 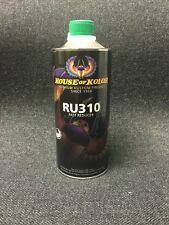 KU150 is a multi-purpose catalyst for urethane finishes. for great deals. WE CARRY ALL SHIMRIN 2 FX BARRIER S2-00 TO S2-16. for great deals. House Of Kolor KBC04 Shimirin Candy Oriental Blue Basecoat Color -1 Qt. House Of Kolor Shimirin KBC11 Candy Apple Red Basecoat- 1 Qt. Kandy Base Coats are a mixture of Kandy and select Pearls into a SHIMRIN® Universal Base Coat that mimics a Kandy finish. We have a complete staff of experienced automotive paint counter sales staff to help you with your needs. JET BLACK QUART. for great deals. Mix- 1/2 Pint. ®is the next generation of ground-breaking universal basecoats from House of Kolor. S2-00 Trans Nebulae is the beginning of all Shimrin2® effects, making It the heart of the Shimrin2. Picture Sprayed Over S2-25 Black Basecoat. Picture Sprayed Over S2-25 Black Basecoat. ®Basecoat technology introduced in 1982. ®is the next generation of ground-breaking universal basecoats from House of Kolor. S2-00 Trans Nebulae is the beginning of all Shimrin2® effects, making It the heart of the Shimrin2. Need help?. Give our tech line a call. BRIGHT WHITE QUART. for great deals. ®is the next generation of ground-breaking universal basecoats from House of Kolor. S2-00 Trans Nebulae is the beginning of all Shimrin2® effects, making It the heart of the Shimrin2. Picture Sprayed Over S2-26 White Basecoat Color. House Of Kolor C2C-BC03 Shimirin Galaxy Grey Basecoat Color -1 Qt. Intercoat Klear Midcoat Clearcoat, 1 Gallon. Intercoat Clear is a kustom painter's best friend. The intercoat is also applied over artwork to preserve blending and fogging of various colors before applying Kandy or clear topcoats.